Why does a boomerang come back? boomerangs do come back, are a sport - easy to learn tricky to master, have a colorful history, are played with worldwide, and come in all shapes and sizes. 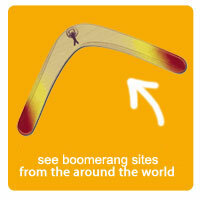 We, the writers of boomerangs.org, hope to expand boomerang-throwing throughout the world. Though I was doubtful that these things worked (having seen them more in the Legend of Zelda and in cartoons), I found out that not only were these flying toys real - but they were easy to throw. Soon enough I realized that I wanted to share the fun with my friends and family, then more and more. We have pages on how to throw, pages of local clubs, how they work, an improving blog, photos and videos and we've linked to the major boomerang makers in the world. We've partnered with boomerangs.com and coloradoboomerangs.com as outlets to buy working, durable boomerangs. In particular we recommend the Aspen, the Bellen, the Triblader and the Yanaki for beginners. And for more advanced throwers we strongly endorse the Delicate Arch, which can fly as far as 50 meters before coming back. And we hope to do more. We're looking to start a forum, create a newsletter (send your email address to news@boomerangs.org to sign up), post youtube videos and flickr photos, set up a calendar of events so you can find a local competition. The more we get, the more we can carry online: take pictures of your first time throwing, write up a story, videotape a sock puppet throwing a boomerang -- anything you submit, I'll do my best to get it online to share with your friends. This web site is a overview of the sport of boomerangs. Any comments or suggestions would be appreciated. If you have a boomerang related web site and would like to have a link off this page, let us know. Also, any boomerang club or organization that would like to be listed under the Clubs and Organizations part of this site, please contact us. 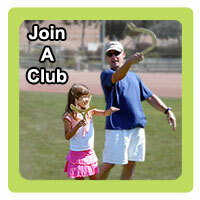 For further information contact one of the many boomerang clubs and associations world wide. Or get in touch with a boomerang maker, they would be more than happy to help you with any questions. Special thanks to Michael Gray for contributing much of the content on this site. If you would like to contribute as well send an email to blog@boomerangs.org.